I often change my skincare up with the seasons. Even though my skin is super oily, it still needs more moisture in the Winter but as the seasons transition, I tend to use lighter and lighter products with the warmer weather. 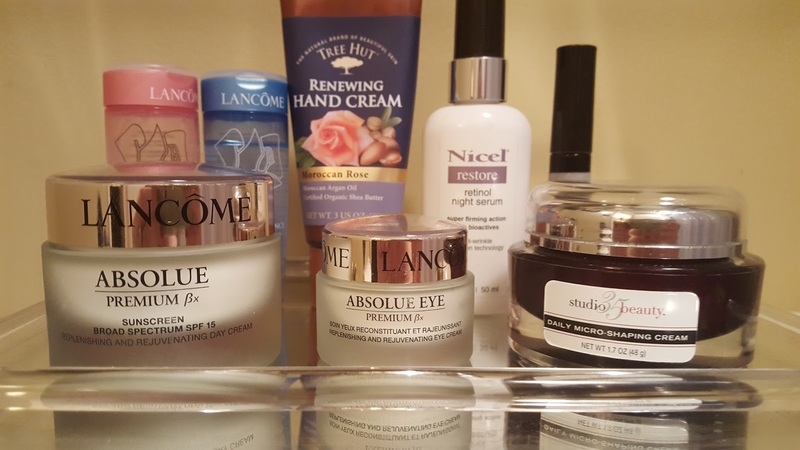 Here are my current skin care products for Spring. 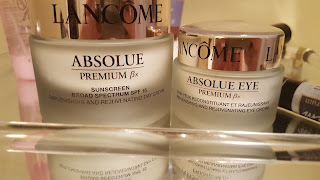 Lancome skincare is quite pricey, but as far as skincare goes I don't mind shelling out the extra cash. If you've been around my blog for even a short while you'll know I don't generally spend a ton on makeup or clothes, always looking for a good sale or dupe, but when it comes to my skin I definitely think it's worth investing in. 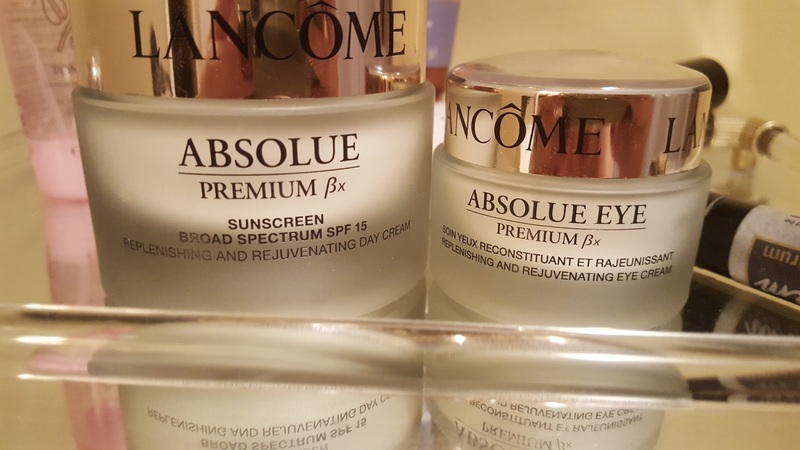 Currently, I'm using the Lancome Absolue face cream and eye cream, but there are cheaper lines from Lancome that work just as good. The products I use are for daytime but they do also have nighttime products which are amazing. 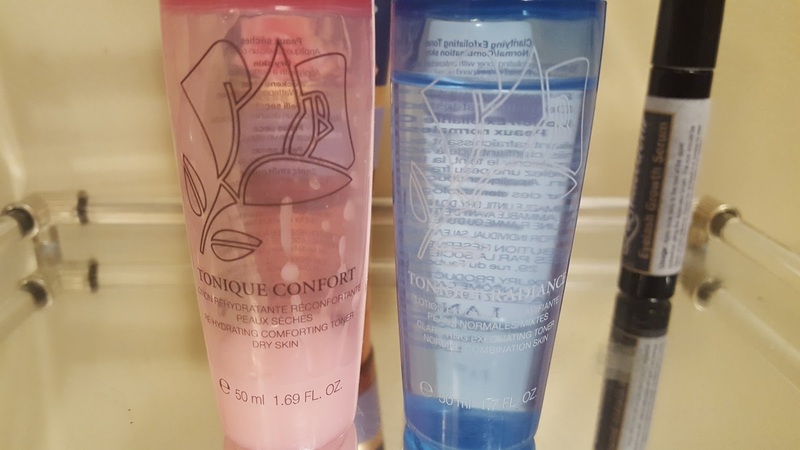 The set I bought came with a toner and another Lancome product but it was a Christmas set. Their sets are always changing but they have a Spring line which includes these two products here. I always try to buy their sets because they are way better value for money. This day cream also contains SPF 15 which I always look for in a day cream. 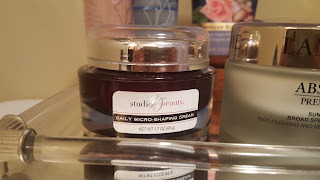 I use this Studio Micro Shaping Cream by Studio 35 Beauty at night. It's more affordable than a lot of other skin care but is meant to lift and even skin and reduce the appearance of wrinkles. In the colder months, I like to use a face oil at night, often with good-for-your-skin ingredients like Morrocan and Jojoba oils. 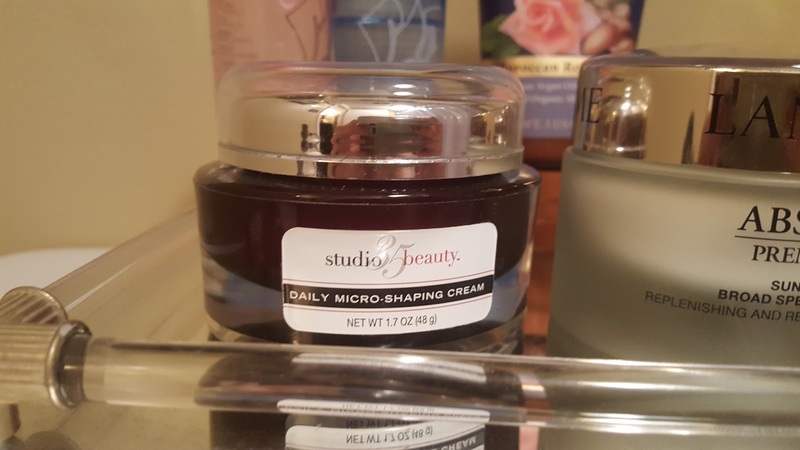 I find that during the warmer months oils prove too heavy for my skin so this cream is nice and light while still giving my skin the moisture it needs. You can purchase it here. As far as toners go I'm kind of switching between two at the moment. The one on the left is a lot creamier and thicker so it was great for winter. The one on the right is an exfoliating toner which I've actually never used before but am really loving. It's light and refreshing so it's been the one I've been using more lately. Both are from Lancome and as far as high-end products go, these toners are actually on the more affordable side, particularly the exfoliating one. You can purchase them here. 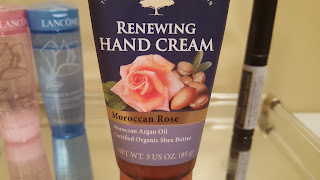 I always use a hand cream and currently I am loving this Moroccan Rose one by Tree Hut. 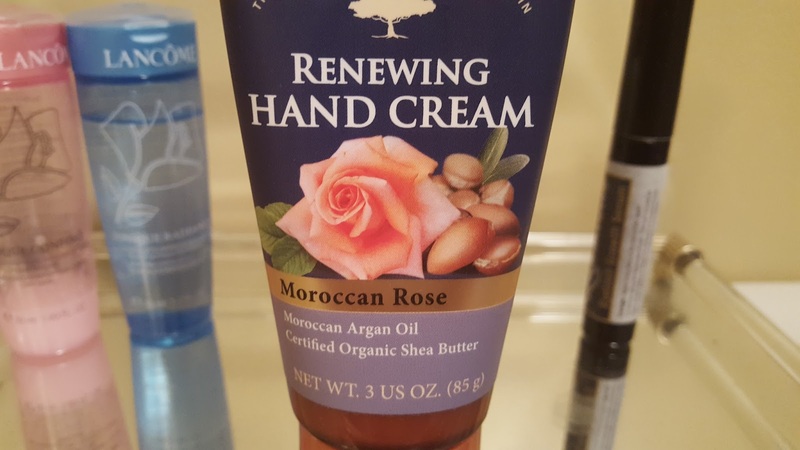 It's super thick, which I actually prefer all year as my hands are dry regardless of the weather and it smells absolutely amazing. It's really relaxing so I particularly like using it at night right before bed. You can purchase it here. 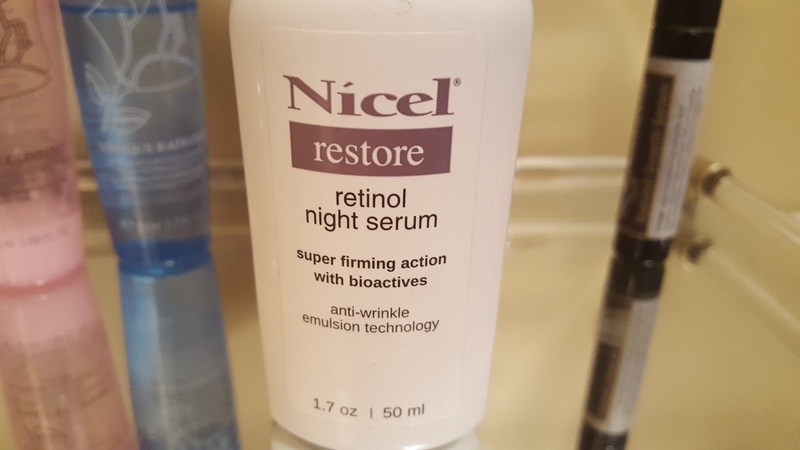 I've done an in-depth review on this serum in this post, and I'm still using it and loving it so that says a lot. This serum is really light weight so I use it year round. It has retinol which is good for firming the skin and preventing wrinkles. This serum is probably the most affordable skin care product I've ever bought and the fact that it really works makes it Holy Grail for me. You can purchase it here. I've also included this Lashaderm lash serum in a previous post and I am still using it. 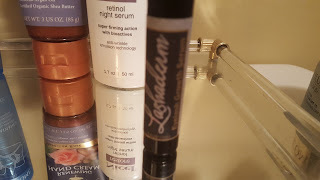 Lash serums seem to last forever and while I might not use the same one, I always have one in rotation. This one does seem to thicken my lashes but doesn't make them longer as far as I can tell. Still, they are a lot stronger and healthier than if I didn't use one. You can purchase it here. I'm using RevitaLash right now and about 3 weeks in I'm seeing good length results. I definitely need it after having my lash extensions for about 6 months. Hope you have a great weekend friend! Guess what, yep, my mom was a Lancomb lover as well!! I need a new hand cream, will have to give it a try!!! I hope Your weekend is fabulous and beautiful and full of all the things you love my sweet gorgeous friend!! I don't really change up my skin care routine all that much for the different seasons, although I do use more moisturizer in the winter to combat dry skin. I love all of the Lancome products you featured! I use their foundation and powder so I actually get their moisturizers and eye make up removers as free samples a couple times a year and those last me quite a long time. Anyway, I hope you had a fantastic weekend Kim! Kinda inspired me to improve my skincare routine!